Yikes! That is one spiky cat. 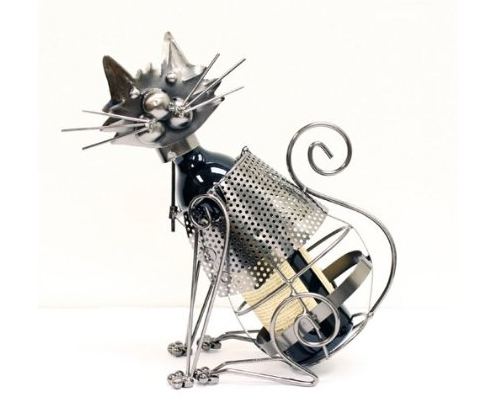 Be careful reaching for that wine–it looks like the Hand Made Designer Wineholder “Cat Kitten Pet” Wine Holder doesn’t want to share! Happy Friday the 13th!